Healthy Habits Natural Market is a health food store, but it is also much more than that.  We are a locally owned, independent store Orwigsburg, Schuylkill County, Pennsylvania. Before you visit, check out our hours and location. We carry a large selection of organic products, ranging from local produce, to vitamins and supplements, to cleaning products and essential oils. We love hearing feedback from customers! Whether you've shopped with us since the beginning, or are new to our community, feel free to ask questions. I've been driving by this store since it opened and never stopped in, figuring like it was like most other health food stores - limited selection and over priced. Today, we stopped in and I was pleasantly surprised. Excellent selection of items, no pressure from the wonderful sales woman, and reasonable prices. So glad we finally stopped by. "YAY for HH! The place to go for all your vegan, vegetarian, Whole30, Paleo, and generally all health foods. Buddy and his team are a cut above. I'll never go anywhere else when I'm coming down with a cold!" "I had such a wonderful time looking around at all the great stuff they have on their shelves. The cashier was so helpful. They even went above and beyond to give me the name and address of a whole milk farmer. It was an all around great place to shop. Will be back soon." Keep up with all our new products and promotions!